The U.S. Attorney General late Tuesday struck down a decision that had allowed some asylum seekers to ask for bond in front of an immigration judge, in a ruling that expands indefinite detention for some migrants who must wait months or years for their cases to be heard. Several top officials at the Department of Homeland Security were forced out this month over Trump’s frustrations with an influx of migrants seeking refuge at the U.S. southern border, including the top official, DHS secretary Kirtjen Nielsen. 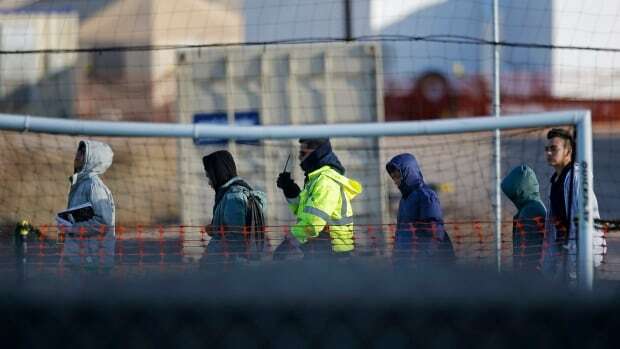 Typically, migrants who enter between ports of entry are placed in “expedited removal” proceedings — a faster form of deportation reserved for people who illegally entered the country within the last two weeks and are detained within 160 kilometres of a land border. Migrants who present themselves at ports of entry and ask for asylum are not eligible for bond. The decision’s full impact is not yet clear, because it will, in large part, depend on DHS’s ability to expand detention, said Steve Vladeck, a law professor at the University of Texas. BREAKING: Attorney General William Barr tonight directed immigration judges to deny bond hearings to asylum seekers.<br><br>Our Constitution does not allow the government to lock up asylum seekers without basic due process.<br><br>We’ll see the administration in court. Again. Barr’s announcement also comes as decisions in the past several days by the courts have fallen the administration’s way in recent days. A federal appeals court late last week lifted an injunction on the administration’s relatively new “Migrant Protection Protocols,” which will see some asylum seekers wait out their cases in Mexico instead of the U.S.